Published July 2, 2015 at 1600 × 900 in Tanzania07. The HSPH delegation at a dinner with the President of Tanzania. 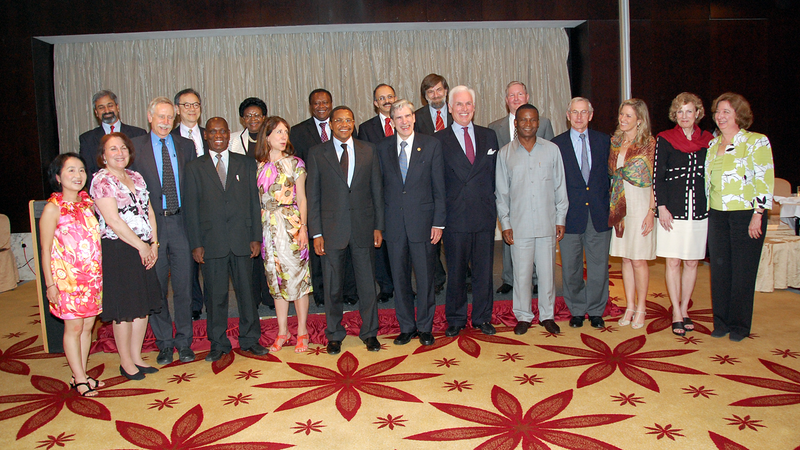 Dean Julio Frenk is in the center of the front row with President Jakaya Kikwete to the left.